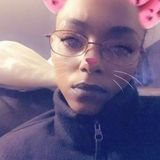 Want to connect with Tieishia? I hope you are having a good day. I am looking for a house cleaning provider position in Chicago, Illinois. I am committed to being a wonderful person. I can alter my schedule to meet your needs. I will take care of kitchen cleaning, bed changing, and wall washing. Further, I own all necessary equipment. I have cleaned hundreds of houses before.